Photo courtesy of Jared Wilkey, BYU Athletics. Fast-emerging freshman Shaylee Gonzales is a big reason BYU is unbeaten in conference play so far this season. 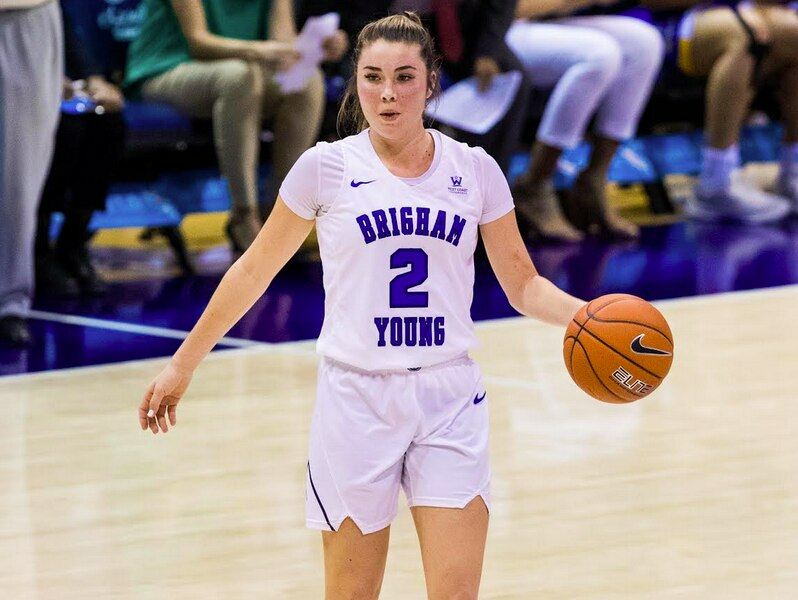 Provo • From afar, it appears that BYU point guard Shaylee Gonzales is exceeding expectations, much like the Cougars themselves after a 6-0 start in West Coast Conference play. But coach Jeff Judkins begs to differ. He knew the 5-foot-10 Gonzales was going to be a star in college more than four years ago when he offered the spunky 14-year-old phenom a scholarship after watching her dominate an elite camp at BYU in the summer of 2015. Judkins, in his 18th season at BYU, told other coaches when Gonzales signed out of Mesquite High in Gilbert, Ariz., that she would be the newcomer of the year in the West Coast Conference and win conference player of the year honors before her career was over. She reminds Judkins of Andre Miller, the former NBA star he coached at Utah. Gonzales and the Cougars (14-3 overall) host the other top team in the WCC, No. 13-ranked Gonzaga (16-1, 5-0), on Thursday at the Marriott Center in a huge battle of league leaders. The game will be televised by BYUtv. “If we want to win this conference, we gotta win this game,” Judkins said. If Gonzales plays well, the Cougars have a chance to pull off the upset, and she knows it. She leads the Cougars in scoring (17.6 ppg.) and rebounding (5.6 rpg.) and has scored in double figures in all 17 of her college outings. The freshman will often go against Gonzaga point guard Laura Stockton, daughter of former Utah Jazz great John Stockton, and she played against the Zags’ Wirth twins — Leeanne and Jenn — in high school. Gonzales has been playing her best since she arrived in Provo last summer. She scored 16 points in her first game, off the bench against UC Riverside, and hasn’t stopped filling up the stat sheet. She’s the second-leading freshman scorer in the country, behind only Chrislyn Carr of Texas Tech, who averages 19.9. Shaylee’s parents, Candice and Josh Gonzales, both played basketball at Grand Canyon University in the Phoenix area, which is where they met. Her four younger siblings — two brothers, two sisters — also play basketball and a variety of other sports. “Basketball is a huge part of our lives,” she said. Gonzales committed to BYU shortly after getting that offer back in 2015, but that didn’t keep other schools from pursuing the 2017 Arizona Gatorade Player of the Year who averaged 21.0 points and 7.7 rebounds her senior year of high school. And she wasn’t. Gonzales said her membership in The Church of Jesus Christ of Latter-day Saints, which owns and operates BYU, “is a big part of my life” and one of the major reasons she chose BYU. Another big part of Gonzales’ life is her YouTube channel. She posts videos of her experiences and life as a Division I college athlete and has more than 10,000 subscribers. “I just love being creative,” she said. On the court, and off. • The 5-foot-10 guard averaged 21.0 points and 7.7 rebounds her senior year at Mesquite High in Gilbert, Ariz.